A BUSINESSWOMAN who had a loaded gun tucked in her pants and 65.62 kilogrammes of marijuana in her car 15 years ago, was yesterday sentenced to serve 14 years in jail by a High Court judge. Joeann Walters, 42, a mini mart owner, was sentenced by Justice Maria Wilson in the San Fernando High Court. Three months ago, Walters was found guilty of having drugs for the purpose of trafficking and possession of the gun and six rounds of ammunition. Walters, who was on bail, was remanded into custody. She was arrested on December 16, 2003. 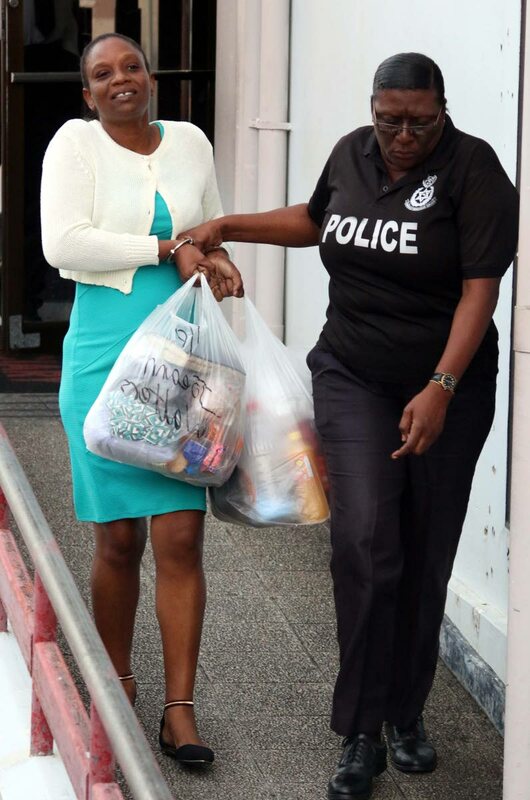 State prosecutor Sabrina Dougdeen- Jaglal told the court, at about 5am that day Walters was driving a maroon Mitsubishi Lancer near Claxton Bay when she was stopped by police. The car was searched and police found the gun. Four large bags with marijuana were found in the back seat and trunk. The court also heard there were two men in the car. They were all charged jointly. One of the men died in 2014, and a bench warrant has been issued for the other. She also commented on the length of time the matter took before it reached trial and described it as unacceptable. This she considered a mitigating factor . Wilson said the sentence started at 18 years. After taking into account the mitigating and aggravating circumstances, the sentence was reduced to 14 years on the marijuana charge. For the gun and ammunition, Walters was sentenced to five years with hard labour on each charge. The judge ordered all sentences to run concurrently so Walters would only serve 14 years in jail. She was represented by attorney Christon Williams. Reply to "Woman jailed for 14 years for gun and marijuana"